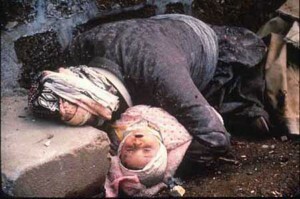 A new article from the Bulletin of the Atomic Scientists on the 25th anniversary of the chemical bombing of Halabja by Saddam’s forces draws attention to the failure of the international community in acknowledging it at the time. The article entitled “the meaning of Halabja” also talks about a similar attack on the Iranian city of Sardasht and its lasting impact on today’s Iranian nuclear calculus. The article was written by Jean Pascal Zanders, senior research fellow at the European Union Institute for Security Studies in Paris. You can read the article in its entirety here.